Activity Based: We assume these children learn by doing. 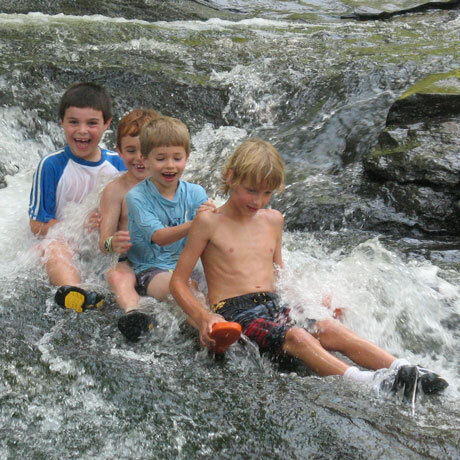 Experiential in nature, every child is actively engaged, physically involved, and an integral part of a group function. Sensory-Driven: Program design and decision-making is based upon an in-depth understanding of sensory integration and its relationship to each child's development and behavior. Each program is comprised of numerous groups. This allows us to group children according to age as well as therapeutic issues and developmental level. Every 8 week program starts "low & slow", letting each child grow and learn at his or her own speed. Our approach builds from the bottom up and from the outside in. Each program has numerous groups which allow us to place children of similar issues and developmental levels together.